When you build your own package, you’ll save money and be able to Play Your Way with admission to Cedar Point for 1, 2, or 3 days. Rates are subject to availability and do not include tax. Total pricing depends on total number of guests, dates of stay and final package selections. Check out other overnight stay and park admission deals. See validity and minimum person details. Stay just a short drive from Cedar Point and The Forbidden Frontier for your 2 night stay at Cedar Point's Express Hotel. This vacation package includes unlimited admission to Cedar Point and Cedar Point Shores for 3 days, access to the Cedar Point mile-long beach along Lake Erie, Early Entry to Cedar Point and Early Access to Cedar Point Shores, and length of stay parking. 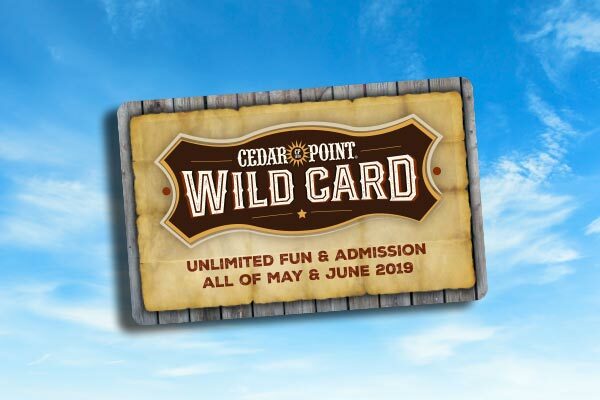 Are you wild enough to handle the NEW Cedar Point Wild Card? Go Wild at Cedar Point with Unlimited Fun in May and June for everyone in your group! This package includes an overnight stay at a Cedar Point property, admission to Cedar Point all of May & June, unlimited access to the Cedar Point mile long beach along Lake Erie, Early Entry to Cedar Point one hour prior to the park opening to the general public during the length of your stay, and length of stay parking. Hurry, this limited time offer will disappear like dust in the wind on June 30th! Rates are subject to availability and do not include tax. Total pricing depends on total number of guests, dates of stay and final package selections. Resort benefits (bonus offers, early entry and parking) are only valid during dates of stay. See additional details at time of reservation. 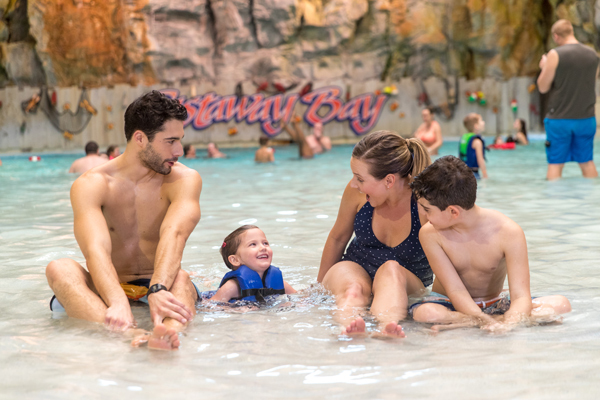 Castaway Bay is a tropical indoor waterpark resort close to the coasters of Cedar Point. Book this popular vacation package to add a full breakfast buffet to your stay in this Caribbean oasis. Choose to include admission to Cedar Point for 1, 2, or 3 days, plus admission to the indoor waterpark for your entire stay and length of stay parking. Stay steps away from Cedar Point down the beach boardwalk at historic Hotel Breakers and make the most of your time in the sun. This vacation package includes a two-night stay, a deluxe parasailing package, unlimited admission to Cedar Point and Cedar Point Shores for 2 days, Early Entry to Cedar Point & Cedar Point Shores plus length of stay parking. 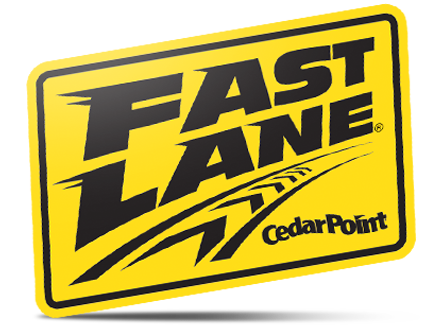 The Fast Lane Plus Bundle is the ultimate way to experience Cedar Point and it includes Fast Lane Plus, FunPix, All-Day Dining, and a drink wristband. This package includes all-day admission to Cedar Point and Cedar Point Shores, a Fast Lane Plus Bundle for everyone in your group, access to the Cedar Point mile-long beach along Lake Erie, Early Entry to Cedar Point and Early Access to Cedar Point Shores, and length of stay parking. The best way to start your best day ever is a hearty breakfast with Snoopy and his pals! This package includes unlimited admission to Cedar Point and Cedar Point Shores, a breakfast buffet for everyone in your group, access to the Cedar Point mile-long beach along Lake Erie, Early Entry to Cedar Point, Early Access to Cedar Point Shores, and complimentary length of stay parking. Rates are subject to availability and do not include tax. Total pricing depends on total number of guests, dates of stay and final package selections. Blackout dates apply.